Only 11 months, 24 days, 3 hours, 58 minutes has left for her next birthday. Dolly Guleria was born on 14th April in Mumbai in the state of Maharashtra, India. She is an Indian Singer & Playback Singer. 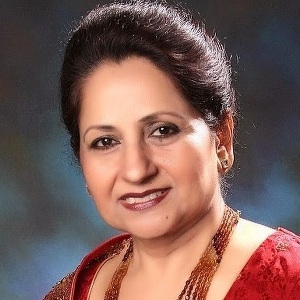 Dolly Guleria is a well known Punjabi folk singer from India. She had a musical background in her family. She began learning Indian art forms such as Bharatanatyam and Manipuri from Triveni Kala Sangam in Delhi. She was just 5 years old at that time. She had taken lessons for Kathak from Gandharva Mahavidyalaya in Delhi. When she was 7 years old, she began her formal training in voice music at Gandharva Mahavidyalaya Delhi. 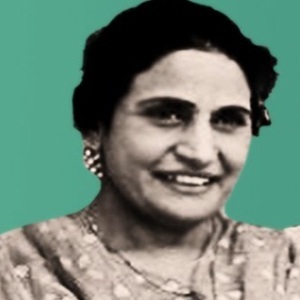 Patiala Gharana’s Kundan Lal Sharma taught her music. Later she learned music from Panna Lal Kathak Ustad Iqbal Ahmed Khan Khalifa and Shri Chotey Lal. She gave her first solo performance in Punjabi in 1967. She wanted to be a doctor. 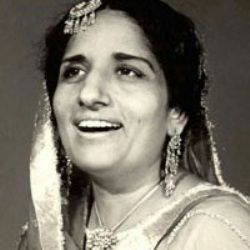 Her husband encouraged her to continue her classical music training under her classical music guru and a very learned Ustad'Khan Sahib’ Abdul Rehman Khan from 'Patiala Gharana'. She was devotional right from childhood. She released her first solo album in Gurbani in Ragas under her Ustad’s guidance. She sang "Rehraas Sahib" the evening 'Paath' in its original ragas. Later she released few Punjabi folk songs. Few of them were in collaboration with her mother and some of them included the poetry of Bhai Veer Singh, Shiv Kumar Batalvi and other famous writers. She had also sung for the Punjabi movies such as Deson Pardes, Main Maa Punjab Di, and Rab Dian Rakhaan. Mein Beti Tunn Maan, Ik Pal Do Pal, Bhakti Sagar are few of her albums. She released an album ”Ibadataan” which she dedicated to her singer mother Surinder Kaur. Nikka Jeha, Mohabbat Kar Balliye, Geetan Da Praga are few of her famous songs. She loves to perform live.She had performed on All India Radio and Doordarshan TV as well. She has been working to keep the purest form of Punjabi music live. She has her own music academy ‘Nightingale Music Academy’ where she teaches dedicated students. The academy was named after her mother’s identity ‘The Nightingale of Punjab'. She visited Pakistan with her daughter Sunaini for her goodwill and cultural exchange visit in 1997. Both of them impressed the Pakistani audiences at Gaddafi Stadium and at Chenab Club in Faisalabad with the music. A golden plaque of Minar-e-Pakistan was given to her for honoring her. She also received a Gold medal for her contribution to music. She was born to a famous singer and songwriter Surinder Kaur who was also referred as Nightangle of Punjab. She married S. S. Guleria, an Army Officer Col in 1970.The couple is blessed with three kids including two sons Amanpreet and Dilpreet and daughter Sunaini. She started learning Bharat Natyam from the young age of 5. She released a marriage song Dheeaan Pardesna which became a huge hit. Her first solo performance was at AIR (All India Radio) in the year 1967.